As any zombie will tell you, there’s more than one way to eat a brain. And apparently, there is more than one way to create a zombie game. It’s not all blood and guts (though it mostly is), it’s also about creativity and designing experiences that utilize the zombie genre. Zombie games are a staple of any gamer’s diet and as such, we’ve thought about it and created a list of the top five zombie games we’ve ever played! Valve blew everyone’s minds when they showed off a brand new IP known as Left 4 Dead. The early trailers were exciting, four people holding out against hundreds of brain-hungry zombies. 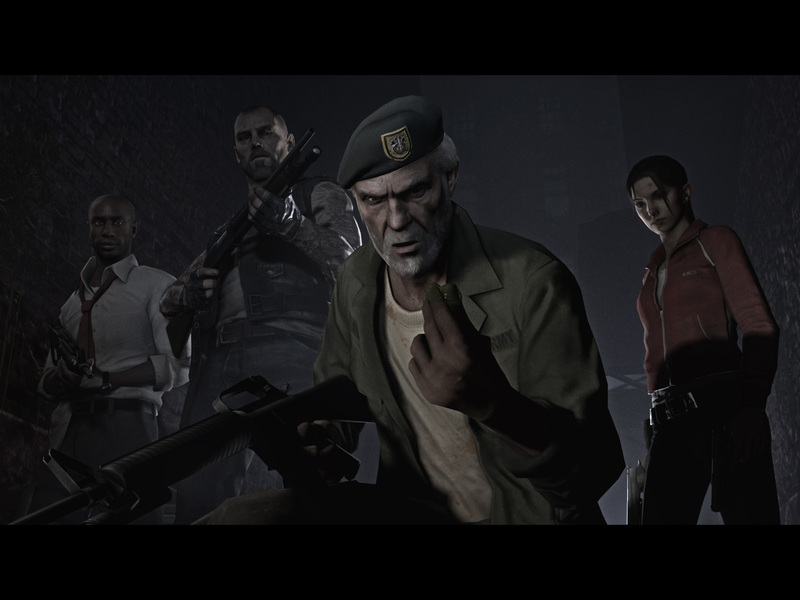 Left 4 Dead introduced players on PC and console-alike to a first-person shooter zombie game that required players to move through a level to a safehouse. The premise was extremely simple but the execution was complex. With the inclusion of an AI Director, each engagement was different, meaning that no matter how many times you could play the No Mercy level, it was going to be a unique experience each time. Every time you and three friends began a mission, the placement of the zombies was going to be different resulting in an extremely replayable game. The most enjoyable elements of Left 4 Dead were its inclusion of a staple in the zombie genre: holding out in one location waiting for help to arrive while fighting off an increasing number of zombies. Games of Left 4 Dead would come down to the nail-biting final moments when you and your teammates were blasting toward the rescue chopper or car. Moments like these could become unpinned extremely easily if someone went down after being hit one too many times, which would leave the team asking the question: do we leave them behind? Left 4 Dead added to this formula by including specialized zombies with unique abilities. The Smoker with its frog-like tongue would snag you from across the map and drag you away from your closely-knit unit, the Boomer would vomit over your team causing a rush of zombies, or the Hunter would pounce on you and rip you to shreds. Then there was the Tank, the one zombie with an ungodly amount of health that could slap you off a roof. These creations weren’t just limited to an AI, as Left 4 Dead included an ingenious multiplayer mode allowing players to take control of the specialized zombies in an attempt to halt their friends from reaching the safehouse. Left 4 Dead will remain one of the best first-person shooter zombie games of all time. 7 Days to Die fuses the heart-pounding excitement of a zombie game with the crafting prowess of MineCraft. In 7 Days to Die, gamers spawn into a world several decades after a zombie outbreak, all that remains are resources, buildings, and zombies, lots and lots of zombies. 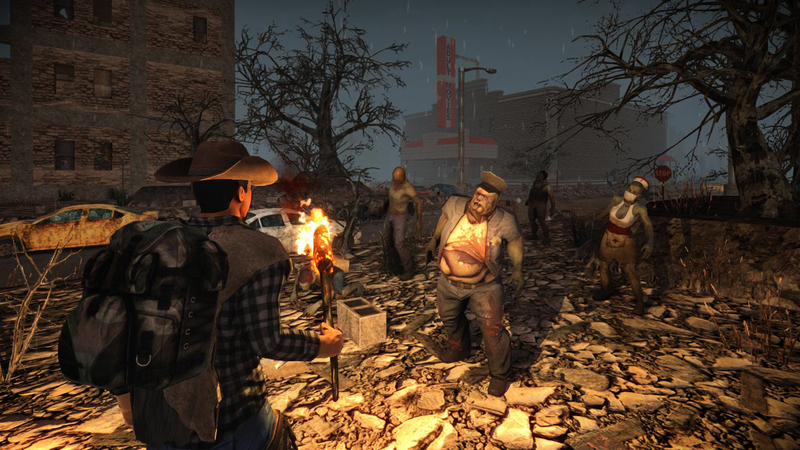 The appeal of 7 Days to Die is in its open-world design. Players begin in the middle of nowhere with barely enough on them to survive and are tasked with foraging and exploring in order to see one more sunrise. 7 Days to Die utilizes elements that popularized games like DayZ. The playable area in 7 Days to Die is huge, offering countless locations to explore and limitless places to start up a base. What the game does better than other's is its base creation. Players are able to cut down trees, create wooden planks, smelt metal, all in the name of creating a fortification strong enough to keep out even the most nimble of zombies. And the zombies are nimble in 7 Days to Die. Just because you’re upstairs doesn’t mean you’re safe, as the special zombies quickly climb up to attack you. Players can even burrow into the ground and create cavernous vaults. Again, be careful because 7 Days to Die uses an impressive physics engine that requires you to include support beams in your mining, lest you want the earth falling down and crushing you. For the PvP-oriented players, 7 Days to Die offers the option to play on public servers where you can create impressive bases, evade or kill zombies, and even hunt down other gamers and claim their loot. As the name suggests, all this is so you can last until the seventh day, which is where things really kick into gear as the horde of zombies arrives to try and put an end to your surviving. 7 Days to Die is everything a zombie-lover wants. It’s got the open-world gameplay so popular these days. It’s got crafting and mining and all variety of weaponry. 7 Days to Die even offers you the opportunity to become your very own Negan from the Walking Dead. This list of best zombie games wouldn’t be complete without 7 Days to Die. Don’t scoff or snigger because Plants vs Zombies was one of the best and most addictive mobile games released. Anyone who’s ever played a tower defense game knows how satisfying it is to watch your towers efficiently destroy wave after wave of marching enemies. Plants vs Zombies delivered this tower defense gameplay but offered a quirky twist: instead of placing an impenetrable and sturdy tower, you placed tiny, smiling plants. 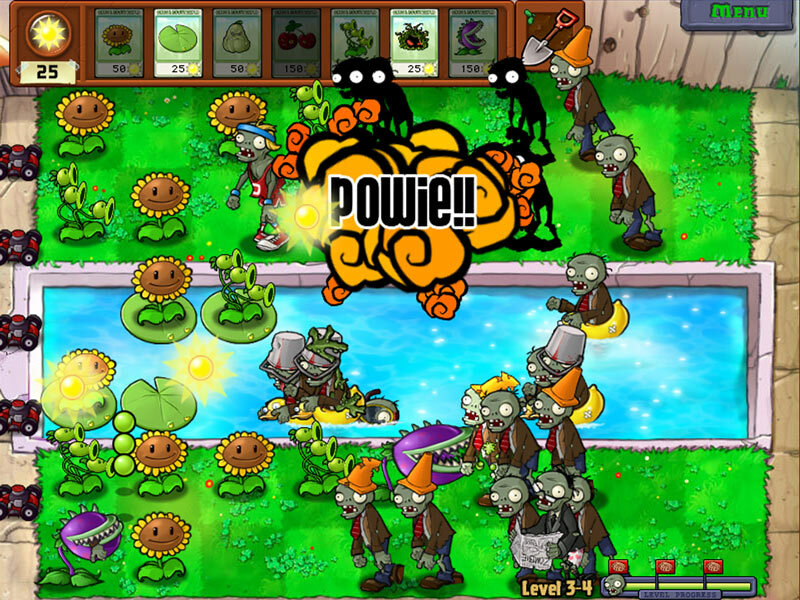 Plants vs Zombies was extremely simple to grasp, the house must be defended from the zombies that enter on the right-hand side of the screen. To defend the house the player would have to drop a plant on the left side, closest to the house. The plant would immediately begin firing seeds or hurling corn at the approaching zombie that shuffled at just the right speed. The game would pick up in difficulty as the level progressed. Each level brought with it a new set of challenges, zombies, and access to new plant varieties. Some levels would have ponds, others would be filled with rocks, all of which would require the right plant. Obviously a pond level would require lilypads for the plants to sit on. In a graveyard-backyard a potato landmine would clear out any zombies that would rise from the grave. Plants vs Zombies is one of those games that was easy to start but difficult to master. A lot of hours were spent retrying levels to create the most efficient defense in order to progress further into the game. Despite being a mobile game, Plants vs Zombies is thoroughly enjoyable and well worth the spare change price-tag. 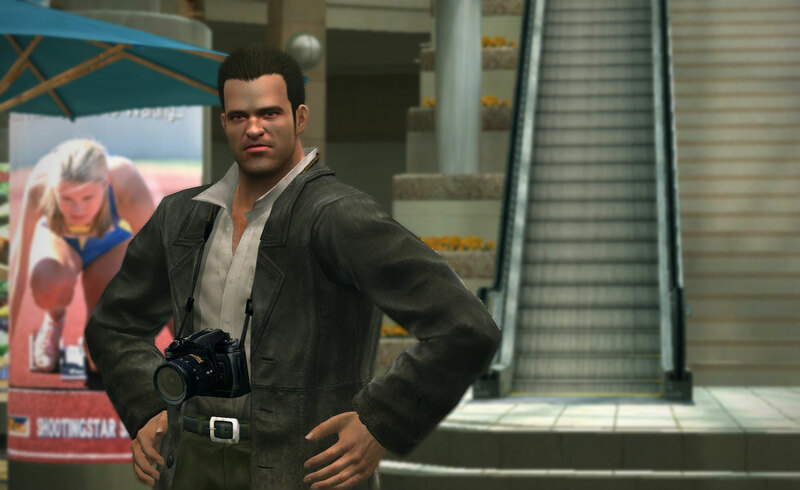 Dead Rising introduced players to Frank West, a photo journalist with experience covering wars, as he investigates a situation at Willamette Mall in the heart of Colorado. The game begins with a scenic helicopter ride over a town closed off by the army. Something is clearly not right and it’s up to the player to find out what. Almost immediately upon arrival, the game reveals that, yes, it’s zombie season and the only way for you to survive is to grab the chair, 2-by-4, bowling ball, or bag of marbles and use it as a weapon. Dead Rising lets the player use almost anything they can find, no matter its effectiveness, as a weapon and that’s where the game shines. Beyond the weaponry, the gameplay and style of Dead Rising is a well-documented favorite of mine. Capcom did away with the ubiquitous gritty and gray colors that plague modern gaming and opted for a vibrant and almost cheerful color scheme. The mall didn’t look sad and abandoned, chairs were still upright and trash wasn’t piled in corners. It might be “unrealistic” by today’s standards, but it offered respite in a game that was about decimating thousands of human bodies. Dead Rising was, and still is, one of the greatest zombie games of all time. The Last of Us will go down in history as one of the best video game stories, experiences, and worlds ever created. Naughty Dog blew PlayStation users away when they released The Last of Us on PlayStation 3 in 2013. The zombies in The Last of Us are known only as “Infected” and are the result of the brain infection Cordyceps, a virus that is alarmingly similar to the Ophiocordyceps unilateralis, a real-world fungus that infects insects and arachnids. Mention The Last of Us to anyone and the first thing they will want to talk about is the story. The Story in The Last of Us is a gripping narrative that brings together two unlikely characters, a middle-aged, gruff male called Joel and a young, tough, pre-teen called Ellie. These two are forced together through a series of unfortunate situations with no choice but to work together in order to survive. 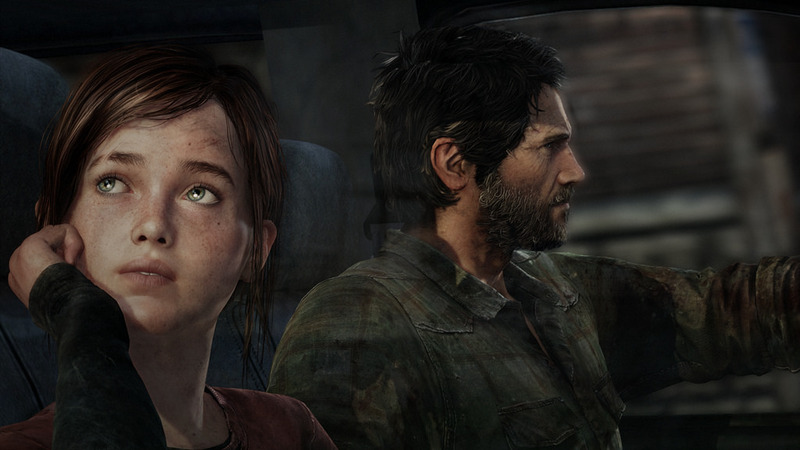 The narrative of The Last of Us passes through each of the seasons as it follows Joel and Ellie and their attempt to traverse the United States. Tasked with delivering Ellie to a band of survivors, Joel and Ellie form a special bond as they battle the elements, other humans, and the grotesque Infected. Gameplay in The Last of Us splits between long sessions of walking through abandoned towns, listening to Joel and Ellie get to know each other and tense fighting sections with Joel caught in a trap and trying to fight off waves of Infected. The Last of Us keeps the emotions high as the story unfolds, demanding the player to put in just one more hour before going to bed. The Last of Us will leave you shaken by its story long after you’ve put the controller down. You’ll think back on all the moments you’ve shared with these two people and you’ll wonder if you’ll ever be the same. Naughty Dog created a beautifully post-apocalyptic world without all the radiation and destruction. Buildings are overgrown as nature reclaims what it once called its own and there's a certain beauty to it. The Last of Us is a zombie game wrapped up in a beautiful and shockingly emotional narrative, with sleek survival gameplay and two characters you’ll cry over. The Last of Us is truly one of the best zombie games created. Let us know what you think of our list. What zombie game do you think deserves to be added to the list of best zombie games? Games like Red Dead Redemption and The Last of Us will be available for PS Now soon! A huge update is coming to PS Now to 483 old games such as The Last of Us, Red Dead Redemption and many more!